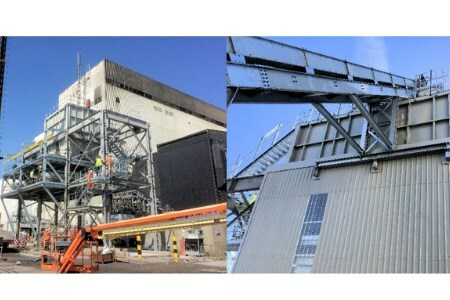 Fairport Engineering Ltd. of Adlington, Lancashire (UK) has been working on the Lynemouth power plant conversion project since 2016 as the main contractor’s – SRM – specialist materials handling engineer and designer, thus allowing this landmark project to benefit from the combined strengths of both organisations. This major multi-million pound project is focused on replacing the previous fuel (coal) handling and storage systems with a new regime that will be suitable for biomass (wood pellets). Whilst this conversion from one form of solid fuel to another requires major investment in the fuel handling systems it also needed new ash handling facilities. Two types of ash will be produced once in operation: bottom ash direct from the boilers and fly ash from the filtration systems.